Successful Winter Carp Fishing When the Cold Bites! 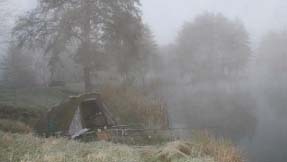 Confidence is the key to fishing success for so many reasons and Kevin Maddocks did not refer to having a positive mental attitude and keeping sensibly warm in order to actually be able to perform and fish far better despite adverse conditions! Winter fishing is just as much about having fun as anything else in life and certainly should not have negative associations.